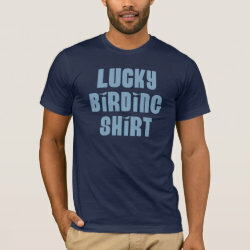 Increase your odds of a successful twitch with your very own Lucky Birding Shirt. 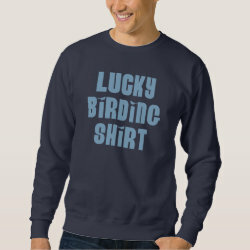 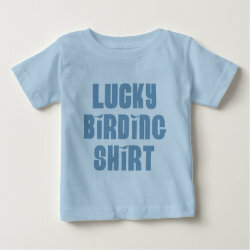 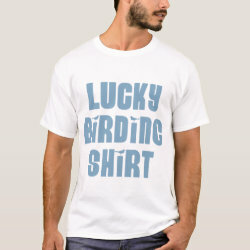 The font employs little birds -- perfect good omens for the More... task at hand -- to dot the "i"s. Whether you wear it or just carry it around like your very own birding binky -- don't leave home without your Lucky Birding Shirt. 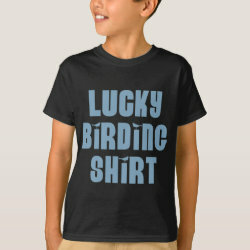 And your binoculars. 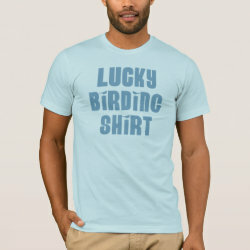 Don't want to forget those either.